Many Malawian girls escape abusive marriages, but survivors are challenged with poverty, HIV and lack of opportunities for education or employment. Chimwemwe, a 16-year-old mother of two and a child marriage survivor, represents a new trend in Malawi. She was married off at the age of 12 following an initiation camp, dropped out of school and became a housewife. She experienced violence and abuse in her marriage, and during her second pregnancy she found out that she had contracted HIV from her husband. “He was beating me when I was pregnant and gave me this illness. I couldn’t take it anymore. I packed my clothes and went back to my family’s house with my son,” she says. Following this, Chimwemwe returned to school. She volunteers for events such as community theatres that aim to educate people about the dangers of marrying young and other problems rural Malawians face. She knows that she is lucky in having a supportive family, as her grandmother takes care of her children when she is at the school. She even named her baby daughter “Takondwa”, meaning “We are happy” in Chichewa. But she is still worried about her future and about her illness. Malawi, a country of 16 million people, is home to a million orphans – who remain particularly vulnerable when it comes to child marriage. Grace, an orphan who lived with her relatives until they married her off at a young age, is another child marriage survivor. When her husband left her with one child, she wanted to go back to her village but her relatives didn’t want two extra mouths to feed. She sought help from NGOs and village chiefs. 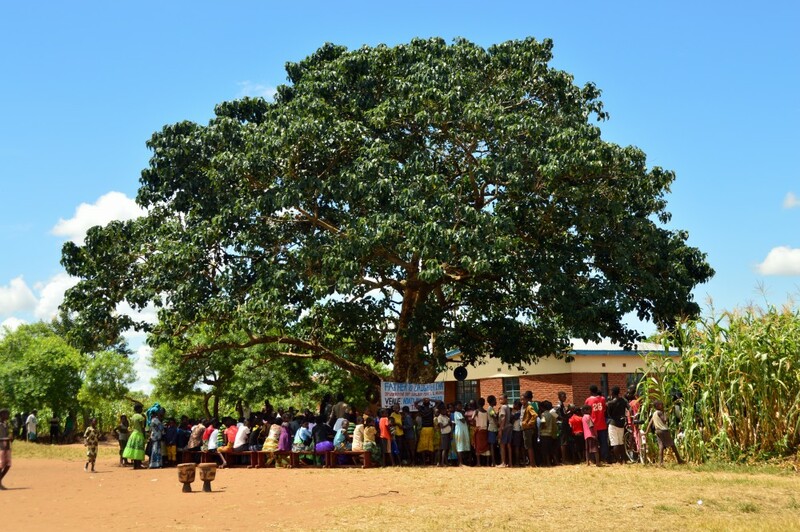 Now she is given 15,000 Malawi Kwachas – the equivalent of €24 a month to live. Although she has to wake at 5am every day to balance her school, motherly duties and household chores, she is happy to be at school and considers herself lucky. However, the resources of local NGOs and village chiefs aren’t enough to support every girl in this situation.